Saudi Council of Engineers “Professional Examination Orientation” Tuesday, October 23rd, 2018 between 12:00-13:00 in the Lecture Theatre. An extensive discussion was followed over casual lunch. Saudi Council of Engineers representatives included: Eng. 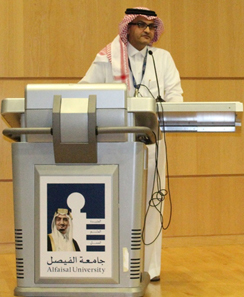 Ibrahim A. Al-Humoud, MBA, PMP, Engineering Professional Accreditation & Qualification General Manager at Saudi Council of Engineers. 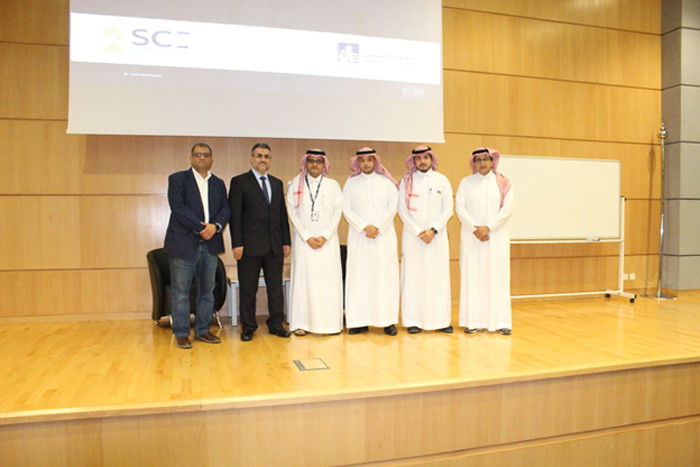 The objective of the visit was to introduce the necessity of the Fundamentals of Engineering exam, a step required for all Engineers intending to work professionally under the Engineering profession. An orientation about different professional examinations available followed. Supporting material was distributed to students for review and preparation. CoE is seeking a mock exam step at Alfaisal in the coming few weeks. In preparation for the visit, activities committee held a meeting with student representatives’ entities such as ESA and ClickIt to prepare the students for the meeting and to gage students involvement. Consequently, student attendance as well as faculty was very good. SCE will exchange data related to market job demand in different engineering fields to help in guiding future plans. AU is looking for information and resources related to the Biomedical Engineering field.